Last night, I was … as is my wont … researching in ancient texts, trying to track down the history of a burlesque blonde who went by the name of ‘Belle Land’. A very minor character in the world of the theatre, but sometime a member of Lydia Thompson’s celebrated ‘British Blondes’. Which may well be the subject of my next book. Well, I got more than I bargained for. For, to cut the shaggy edges off the tale, Belle turned out to be a sister to someone who was indeed celebrated in the Victorian theatre world: ‘Agnes Land’ by any other name, who made a fine career on the American stage under the surname of her second husband, the well-known actor Junius Brutus Booth. So, I thought, where one finds little Agnes one should find little Belle, so with the skilled aid of my friend Allister, of Melbourne, Vic, I went a-looking. Why Allister? Because Agnes always said she was born in Sydney, Australia. Why do I say ‘said’? Because doubt has been thrown upon the fact, notably by Mr Pat N Ryan in a book on Notable American Women and therefrom delicately compounded on wikipedia. Et al. Now we get to the biographists and their fictions. Agnes has been said to be the daughter of an army man, born during his posting in Australia. Bunkum. Rookes never left England. And Captain? Hah. He was a lawyer’s clerk until he became a ‘gentleman’. Much nearer to fact is the tale that Sarah emigrated in 1843 with her parents and Agnes’s older sister, and that Rookes died before he could join them. Yes, Sarah and Richard and Rebekah Salter did emigrate, with her two older daughters, as above, and her third daughter was apparently born in October of that year. Australian records are hard to trace at this time. That one is still to be proven. But nobody died. The pregnant Sarah and her family were walking out on Mr Rookes and getting away to the other side of the world. I wonder why. Something to do with the paternity of daughter no 3? Anyway John Rookes remarried (! ), and had a sheaf of other children before his death in 1867 (20 May), while Sophia changed her life drastically, also remarried, had no more children and launched what I presume was a new career. It is a puzzlement to me that I can find none of these people in the 1841 census. Nor any record of the family’s arrival in Australia. However, I spot ‘Richard Salter of Sydney’ fined for skipping jury duty in 1844, and ‘Richard Salter, grocer’ going bankrupt in 1847. And Richard Salter (aged 70) of 26 Union Street ‘many years the confidential clerk to Mr J G Waller wine merchant’ dying in the same city in June 1854. Sarah shows up in 1848, marrying the widowed (?) son of the respected Major Charles Thomas Smeathman, Mr Henry Osborne Green Smeathman ‘gentleman’. And clerk. And then in 1852 … on the stage ‘after an absence of four years’! So what was calling herself on the stage in the 1840s? And is she the Mrs H Smeathman who is running Parker’s Family Hotel up till October 1855? The disbelieving Mr McKay says he can see no sign of Agnes on the colonial stage. Well, he didn’t look very hard. In March 1856, ‘Miss Marian Agnes’ can be seen, alongside mother, in Azael at the Royal Victoria. At the Lyceum, in 1856, we have Mrs Smeathman, Miss I Smeathman and Miss Agness. In 1857, mother is managing a troupe featuring both daughters at the Queen’s in Maitland where ‘the dramatic performances will be frequently diversified by singing, [and] by the dancing of Miss Agness’ (French hornpipe), Mrs, Bella and Aggie (sic) are subsequently at the Theatre Royal, Castlemaine, and then at Hobart (‘Miss Agnes Smeathman made her debut between the pieces in ‘a National Dance’). 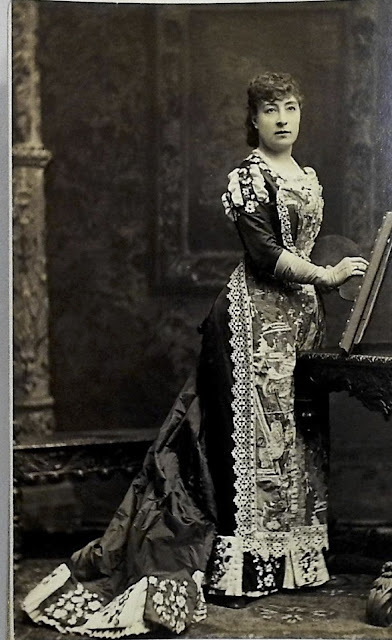 Agnes – from the start, the attraction of the family – then became a fixture at Sydney’s Royal Victoria Theatre, until on 5 November 1858 she took one last Benefit, and she and Bella sailed for California and what would indeed turn out to be fame and fortune. The San Francisco shiplists confirm the arrival, in February 1859, of the William Kirschner from Newcastle, bearing, in cabin class, Mrs Smeathman and Misses Elizabeth (oops) and Agnes Smeathman. Step-papa must have joined them later. And the biogger who assures us that the girls made their debut dancing at Maguire’s Opera House in 1858 clearly got his dates wrong. Between Newcastle and California the Misses Smeathman had, however, had a name change. They had become the Misses Land. 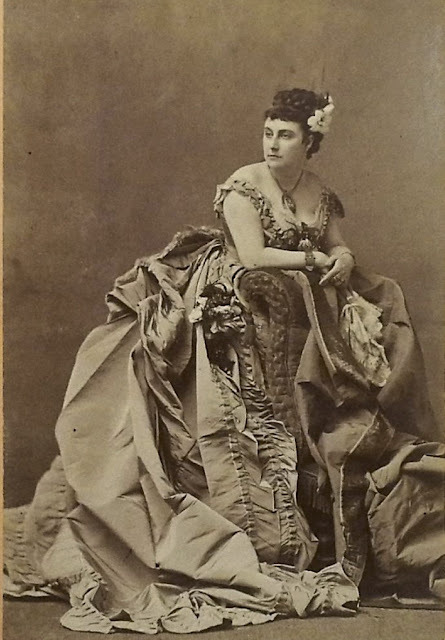 I would guess that it is Agnes (‘Miss Land’) playing the title-role in Maguire's pantomime Don Juan opposite Sydney’s Andrew Torning, and Laurette to his Jocko, in October 1859, dancing in The Naiad Queen at Christmas and then, as Miss A Land, playing with the Nelson Family in Captain Charlotte. Miss I Land starts to appear on bills in April 1860, but in a more modest capacity. Agnes was on a fast track upwards. She rose to leading lady status, married (11 February 1861) – in spite of shriek of ‘prior claim’ from Milwaukee -- the ‘famous English actor’ (he was neither) Harry A Green, who died soon after (22 January 1862), and then his colleague J B Booth … and the rest is history. Belle stumbled. When the girls came to California they took lodgings in a boarding house run by one Mrs Sarah Coles. They can be seen there in the 1860s census. Mama and step-papa were living elsewhere. Anyway, Belle attracted the attention of a well-off local (married) businessman, Charles Hosmer (1815-1889), and the result was a small Nellie (1864) and a small George (1866). Belle’s career in the theatre trickled on fairly unenthusiastically until both it and she died. Unnoticed. As for the Smeathmans … papa actually got the best final notices of all. He switched from being a clerk to being a cleric and as the Rev H O G Smeathman set forth to proselytise the Navajo Indians. But the Navajo didn’t wish to be proselytised and, one fine day in 1864, they put a terminal bullet through the Revs head. Sarah ended her days living in Manchester, Mass, with the Booths, and died there in 1890, while Fanny (Mrs J Fred J Lincker) stayed to the end in Australia where she died 1 October 1906. Agnes outlasted them all. So there we are. Most of the tops and tails of the tales of the Rookes girls: one who became famous, one who had a long and comfy Australian life, and one who sinned and suffered. But who strutted her stuff, nevertheless, as a ‘British Blonde’.